Successfully Added HUD Car Head Up Display Motors Digital Projectors Instrument Speed Meter P15 to your Shopping Cart. --Strong function: Switchable kilometers, precise display: speed, engine speed, water temperature, voltage. --Added accelerated competitive mode test, brake performance test, and read full vehicle data. --Scan the car computer, read the error diagnosis code, and clear the error diagnosis code with one button. 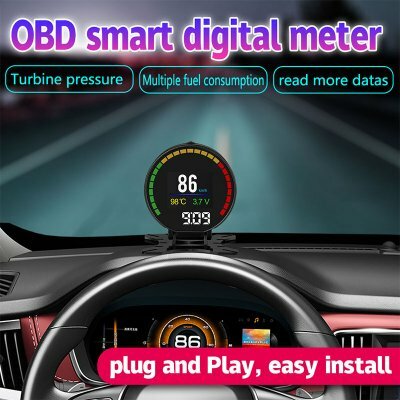 --This driving computer can be used in 99% of vehicles with OBD2/EUOBD interface. Note: If the machine is turned off after a few minutes, it is the agreement and the machine of the car are not in compliance.